A lot has happened since the London Evening Standard was famously emblazoned with the headline "Arsène Who?" to greet the unexpected appointment of the ultimately illustrious Arsène Wenger. After roles at French clubs Nancy-Lorraine and AS Monaco, before a move to Japan to manage Nagoya Grampus Eight, Wenger was an unknown in these British shores. John Hartson, who played in the Frenchman's first game in charge at Arsenal, admitted to having his doubts upon his unanticipated arrival. "First impressions? He looked more like a doctor than a football manager. But he was a real gentleman. You know something, I never heard him swear. Not once. He would lose his temper sometimes. He would get red in the face and throw his arms around, but I never heard him swear." Tony Adams, a stalwart in Wenger's "Invincibles" and captain, also aired his premature uncertainty. "At first, I thought: What does this Frenchman know about football? He wears glasses and looks more like a schoolteacher. He's not going to be as good as George (Graham). Does he even speak English properly?". Despite the scepticism, Wenger, contrary to the Jose Mourinho's protestations, is a success story, a trailblazer in becoming the first foreign manager to hold the prestigious Premier League trophy aloft and to be awarded the Premier League Manager of the Season accolade, two decorations of many in Mourinho's scrapbook. A run of evading defeat in a league season, earning the Arsenal side of 03-04 the "Invincibles" tag, was one of the Frenchman's highlight, inevitably so. Yet, Wenger's 18-year reign at the Emirates Stadium, previously at Highbury, is one of two halves. One of an influx of trophies for nine years before a silverware drought for other half, the frustrating wait approaching a decade. The days of confetti raining down on Wenger must be restored - the clock is ticking. Wenger is no stranger to misery. When Juliano Belletti received an intelligent pass from Henrik Larsson, a Celtic cult hero, in the 2006 Champions League final to power the ball beyond substitute keeper Manuel Almunia, on for the sent off Jens Lehmann, and deny Arsenal their first ever European Cup triumph in the back-drop of the famed Eiffel Tower. When Ryan Giggs latched onto Patrick Viera's stray pass in a FA Cup semi-final replay in 1999 to waltz beyond the likes of Lee Dixon, Martin Keown and Viera himself and proceeded to crash his shot into the roof of the net. When Viera was once again the centre of misery a year later, rocking the crossbar with his missed penalty in the UEFA Cup final of 2000 against Galatasaray at Copenhagen's Parken stadium. When Michael Owen's dramatic two goals in the last ten minutes of the 2001 FA Cup final ensured Anfield was the tenant of the historic trophy and cancel out, then overtake, Freddie Ljungberg's 73rd minute strike at the Millenium Stadium. As mothers would say, Wenger must emerge from that unfashionable habit, and emerge from it in Wembley's FA Cup semi-final - it is make or break for the 64 year-old. 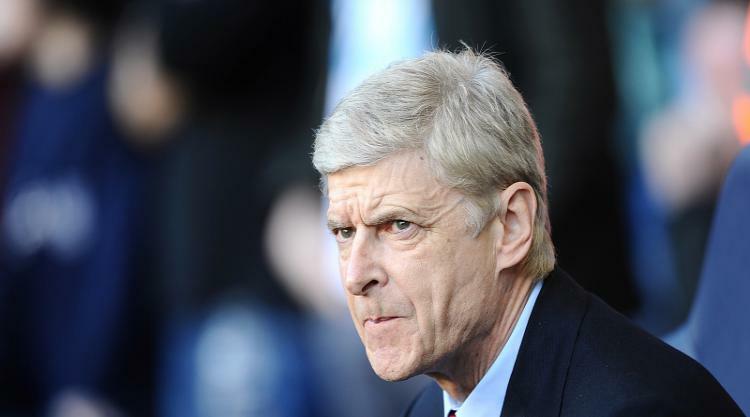 A recent poll proved the thin line Wenger is currently treading on. Fail in the FA Cup and finishing fourth in the Premier League and it's curtains on an illustrious 18-year. Do one or the other, or both, he remains. However, Wigan Athletic, who stand in his way of reaching an FA Cup final for the first time in nine years, will not be a simple pushover, a minor obstacle in the big objective. Their passage to Wembley was booked through heroics at the Etihad Stadium, becoming only the third team, along with Bayern Munich and Chelsea, to beat Manchester City in their own imperious backyard. They are guided by the meticulous tactician Uwe Rosler, plotting and executing the downfall of his former club in dramatic fashion in the previous round. It clarified the notion that the FA Cup is still alive and flourishing and that cup upsets remain a viable possibility. After recently reaching 1,000 games in charge, the milestone celebrated with a shameful 6-0 defeat at Stamford Bridge last month, this FA Cup semi-final is one of the most significant.